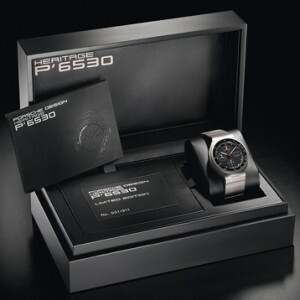 Thirty years ago, Porsche Design created a small revolution in the watch world by launching the first chronograph in titanium. It has now reproduced this legendary model. Faithful to the original, the new Heritage P’6530, constructed entirely in shot-blasted titanium, has the same positive characteristics as its illustrious predecessor: pure, clear lines and integrated pushpieces. Only the diameter of the case has changed: to reflect modern trends, it has been increased to a generous 44 mm. 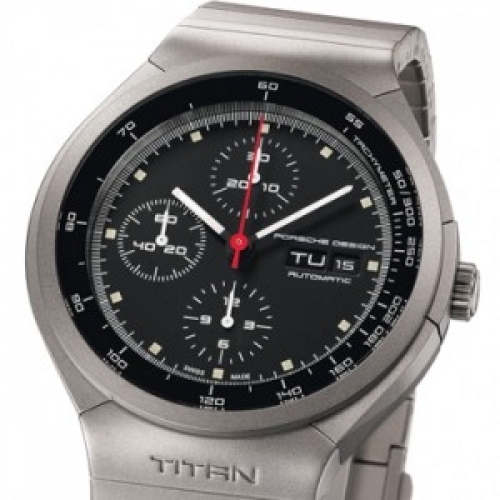 Nevertheless, it remains just as comfortable to wear thanks to the extreme lightness of the titanium, which is very easy on the skin and offers strong resistance to corrosion. Limited edition of 911 pieces.